The Fire and Rescue Service worldwide is well versed in the need for operational intelligence. Tragedies are all too common were firefighters and other emergency responders have lost their lives as they fought fires not knowing the significant risks that were present at the time. Countless public enquiries, coroner’s inquests and other investigations have reinforced the message that any emergency responder should have the most accurate and up to date information available on which to make command decisions and deal with any crisis. I have had the pleasure to speak to a number of Branches across the UK on the matter of ‘Firefighter Safety in Buildings’ supporting colleagues from East Sussex who deliver an honest and thought provoking presentation on the events of Marlie Farm in 2006 where two members of the Service were killed in an explosion in a fireworks store. The lack of clear information was a fundamental factor in the challenges the service faced that day. The creation of gunpowder using the ingredients of Wood Charcoal, Sulphur and Saltpetre, processed in defined proportions not only spelled the origins of modern warfare with firearms, bombs and rockets but also the ability to use such explosive materials for harmless entertainment. There are a large number of people who take pleasure in the manufacture of explosive materials and devices for entertainment, some operate in isolation, others share their thoughts and experiences through established Societies and Associations around the world. In the United Kingdom the UK Pyrotechnics Society has a growing membership and lively chat room focussed on this subject. But what is defining line between such uses? When is a firework a weapon? How do we manage those who take great pride and skill in the careful manufacture of pyrotechnics and fireworks to record and share the results with others in a large worldwide community? Can such a hobby be justified in the new world we all live in or would the abolishment of amateur pyrotechnics be a victory for the criminal and terrorists? Any trawl through the video sharing websites will reveal the results of what would be classed legitimate and illegal use of fireworks both commercial and homemade. The internet not only provides the opportunity to share the results, but also the motivation and methodology to create explosive effects and in a lot of countries it provides a route to purchase the component chemicals and materials. Since the start of the fireworks crime team in Merseyside in 2004, we have dealt with over 500 incidents of illegal sale, use and manufacture of fireworks. These incidents have ranged from the ‘traditional’ fireworks through letterboxes to the use of large fireworks to create very effective car bombs. The multi-agency team have had high levels of success in reducing such criminal activities and protecting our local communities, with a range of responses from advice provided at the scene to a full scale joint investigation, the team has many tools and assets to tackle the problem. Seizing hundreds of tons of illegal fireworks and dealing with the offenders has seen such incident reduced by over 80% in the past ten years. 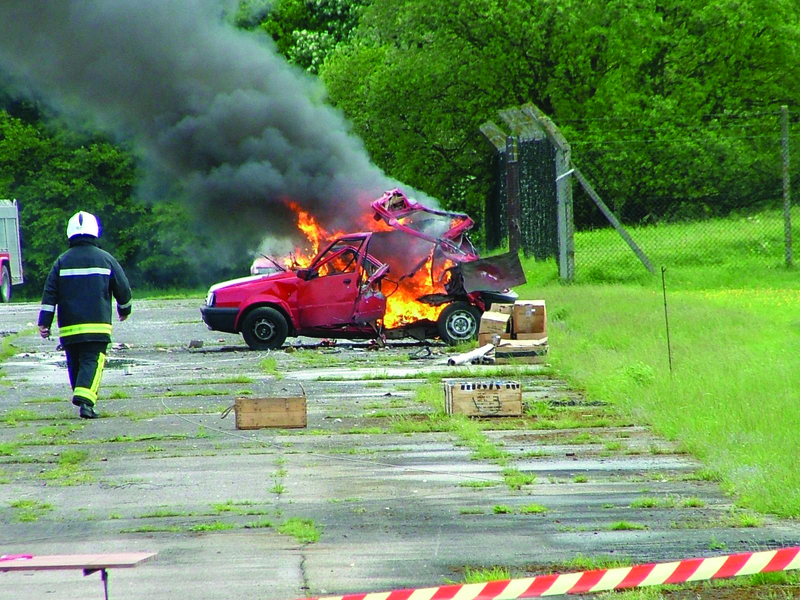 The levels of training and awareness provided to Police and Fire Officers over the same period has dramatically increased, the team maintains a broad understanding of the trends emerging on the internet and regularly recreate explosive devices to examine the technology and provide guidance to investigating officers responding to serious incidents were fireworks have been used for criminal means. However, the most technically difficult and perplexing incidents involve the amateur pyrotechnician, the person who makes explosive effects as a hobby and is only separated from criminality and perhaps terrorist activity by a single word – ‘intent’. Throughout my career in dealing with pyrotechnic related incidents, the amateur fireworks makers have presented the most taxing of incidents. Be it through direct operations or advice being sought over the phone by a concerned colleague challenges such as the incident, risks to the community and complexities of legislation can be a difficult balancing act to manage. I cannot think of many other circumstances when a legitimate activity in a domestic property presents such unknown dangers to first responders. The criminal manufacture of illicit drugs or the cultivation of cannabis have their own significant risk set and are naturally covert yet the legitimate amateur pyrotechnician operates unregulated to a certain extent. To possess firearms and ammunition will require registration – information available to share with other agencies. Those who purchase and keep black powder in their homes will similarly be subject to licensing and record keeping, but to manufacture an explosive device for innocent purposes does not attract the same level of scrutiny. Even the presence of oxygen cylinders would likely be shared with other responders due to the consequences of a fire in the home. The laws regarding explosives manufacture are widely different around the world, in the United Kingdom at this time the Manufacture and Storage of Explosives Regulations is in force after replacing the Explosives Act 1875 in 2005. The basis for the Amateur Pyrotechnician being that you can manufacture up to 100grams of explosive for ‘experimental purposes’ without license or prosecution. Obviously if such materials were used to create damage, or injure someone (again the question of intent) then charges from Criminal Damage through to the Terrorism Act could be considered. 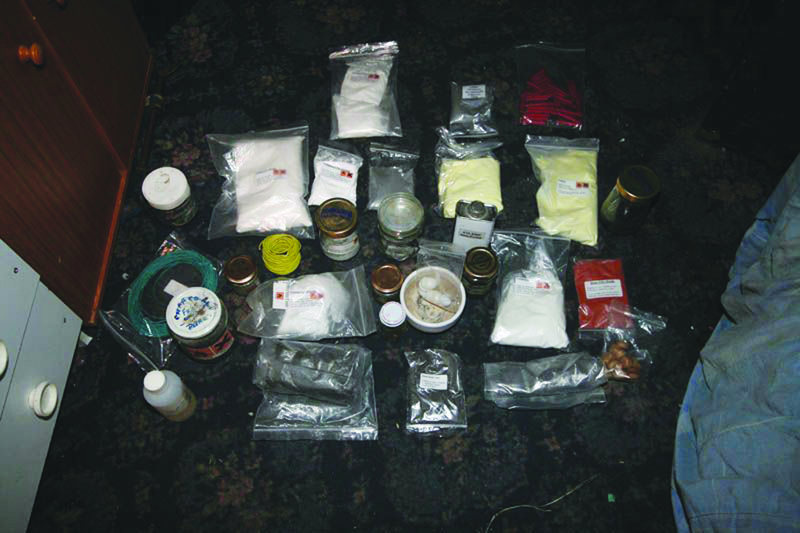 The Control of Explosives Regulations could present a recourse for the authorities to manage such activities, however whilst licensing is required to ‘acquire and keep’ Blackpowder, no such controls exist on other pyrotechnic compounds, such as flashpowder. Looking at the potential cost to the public of the analysis and investigation of someone engaged such small scale activities; would the prosecution pass the complex ‘public interest’ considerations by a Crown Prosecutor who may not be familiar with the matters of explosives? However, how would the next door neighbour, concerned family member or professional carer balance what could be an innocent hobby with the risks associated? The sight of chemicals being mixed, items being set off in back gardens and general garden shed chemistry can appear less than innocent in the media rich world we live in where precise details of terrorist bomb making techniques are reported direct from court complete with colour graphics and expert testimony. The hard work of Police and Security Services worldwide to educate Communities as to the risks of terrorism and promote vigilance enhances and ensures such awareness and knowledge further protects our communities. Usually at this time the concerned person contacts the Authorities for assistance and advice, leaving the officer on the other end of the phone questioning if we are dealing with a hobbyist or a terrorist, and what actions are the best to maintain the safety of the individual and the community. The legal grey areas suddenly become a significant concern as the balance of safety and individual freedoms present a challenge to the officer sent to make a judgement call. The Police in such circumstances face an almost impossible decision, to be accused of going over the top or underplaying the risks very much depends upon the risk perception of the accuser, if this should be covered by the media then the challenge grows significantly. In 2007, the team were contacted regarding the activities of a 93 year old man with advanced dementia. Living with his wife in a small terraced house, the man was not fully aware of his surroundings but could clearly remember making small banger type fireworks as a small boy. Small bangs came from the back garden as he would make his fireworks and then let them off for amusement. His wife said that it was the only time he appeared calm and happy when engaged in this activity. The carer spoke to the Local Neighbourhood Policing team, who immediately came to the fireworks team for some technical advice. A unit was dispatched to the scene to find a Police Officer in discussions with the gentleman’s wife. Within the house we found the Gentleman sitting on his armchair mixing small amounts of chemicals, all available from local DIY stores, a lit cigarette in an ashtray beside him. The man would mix small amounts, wrap in stout paper and then head outside to set off the firework. In this case it was obvious that the Gentleman was a significant danger to himself and his family, but had not engaged in any criminal activity. He had legitimately purchased materials, mixed in small quantities which he let off in his own garden; apart from the aspects of a Statutory Noise Nuisance he was technically doing nothing wrong. The carer and the Gentleman’s wife authorised the removal of the materials and a search was conducted to ensure nothing remained in the house that could be used for further fireworks, military bomb disposal and Fire Service Hazardous Material assistance was sought to test and package the materials for transport and disposal, again through the authorisation of the Gentleman’s wife. But the one thing common to all incidents of this type I have attended is the ‘doorstep conference’. Police, Fire Service and sometimes Social Services gathered to discuss what, if any offences have taken place and who has the power to do anything about it and protect the occupants. I have personally attended an incident where a fifteen year old boy lost a finger as he had ignited his birthday present manufactured by his pyrotechnics enthusiast uncle. When attending the place of manufacture we were faced with a very impressive operation where items were manufactured for entertainment, but one man’s industrial strength banger is another man’s pipe bomb. The internet has effectively let the Genie out of the bottle when it comes to learning how to manufacture many explosives, not just fireworks, so what can we do to control the dangers to those who enjoy fireworks as a hobby and those who live around them? An interesting comparison can be drawn with the ownership of firearms in the UK, where following a number of tragic incidents many thousands of people had their legitimate pastime taken away in the interests of public safety, could the same fate be destined on those who draw pleasure in fireworks and pyrotechnics? Whilst the supply of fireworks and other explosives is very carefully controlled in most countries, the supply of component parts, chemicals and technology is not. These are careful considerations legislators have to consider – the familiar balance of civil liberties against personal safety.